What The Hell Happened To Brendan Fraser? The man who fought The Mummy is making an unlikely career move. 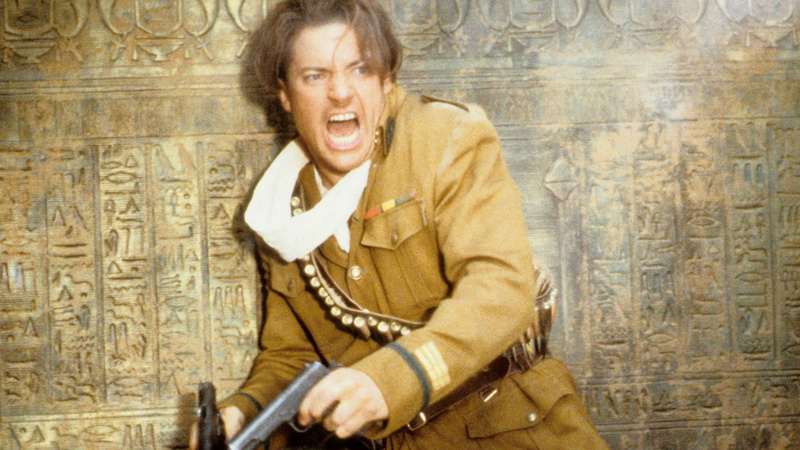 Everyone remembers Brendan Fraser, right? He was the swashbuckling star of The Mummy movies, Bedazzled and the occasional Oscar-winning drama like Crash or Gods & Monsters. When Fraser was good he was very good; like a goofy, budget version of Harrison Ford or Chris Pratt before he became “Chris Pratt”. He was even touted as a potential Superman at one point – and probably would’ve brought a tad more charisma to the role than Henry Cavill’s ultra-grim Zack Snyder version. For some reason Fraser dropped off Hollywood’s radar. He hasn’t appeared in a movie since 2013’s Gimme Shelter, and more recently took on a role in TV series Texas Rising. Now Fraser is making a comeback with an unlikely career move: he’s going to star in a Bollywood movie. According to The Hollywood Reporter, Fraser is signed up to play an American expat gun runner in The Field. His character Charu, who was originally going to be played by Ray Liotta, is described as a man “whose illicit dealings with the Indian underworld wedges him in the middle of the family implosion”. The Field will centre on an Indian mafia family at war following the death of their patriarch. Director Rohit Karn Batra said that screenplay rewrites meant ditching Liotta in favour of the more “idiosyncratic” Fraser.